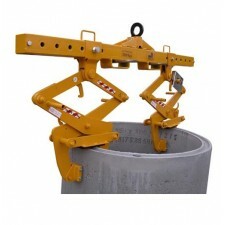 Brick grabs, block grabs, and a wide range of other attachments can all be found in the below range of mechanical scissor grabs to aid in the safe handling of bricks, blocks, pavers, slabs and kerbs. Mechanical in operation, our range of quality-built mechanical scissor grabs require no hydraulic or electrical services and can be used on a variety of plants, such as forklifts and overhead cranes. 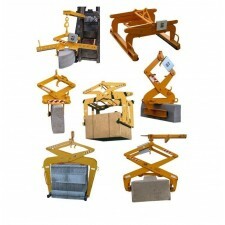 All our mechanical scissor grabs are tested and certified to conform to the latest EC directives. To reveal the best scissor grabs for your needs, please click on the below options to learn more.